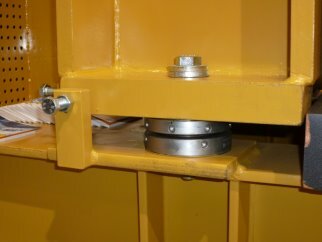 News - CAT GenFlex genset on Vibracon - Machine Support B.V.
After years of product development, Pon Power introduced GenFlex, designed to isolate engine vibration away from the frame and foundation of high speed gensets. 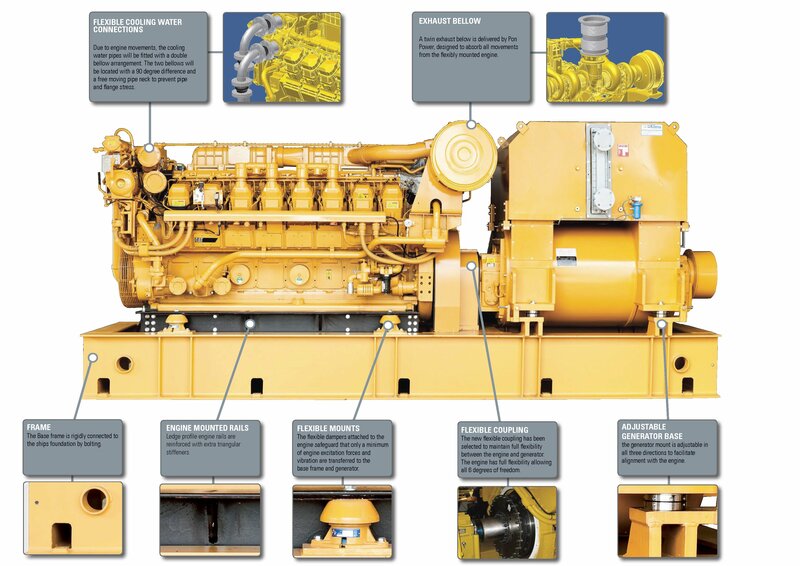 The combination of Caterpillar engines and custom made AvK/Cummins generators provides a state of the art application built to last. Maximum reliability and sustainability is always the major focus of Pon Power and the GenFlex Design has extended this even further. The reduction of vibrations is achieved by installing flexible mounts between the engine and base frame, while the generator is rigidly mounted on VibraconÂ® adjustable chocks, making fast and easy (re-)alignment possible through the life cycle of the genset. 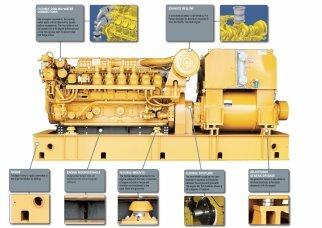 GenFlex is now Pon Powerâ€™s standard generator set design when offering new units with Cat 3500 engines. They also offer upgrading of existing generator sets (covering different generator brands) from rigid base frame solution to GenFlex, provided that the generator can be free standing and thereby isolated from the engine. Please click here for the GenFlex Design brochure.